Craniosacral Therapy is a hands-on therapy that uses light pressure to manipulate the Dura Mater (the material that surrounds the brain and spinal cord) to enhance the production, circulation, and reabsorption of the fluid around your brain and spinal cord known as Cerebrospinal Fluid. As the production and reabsorption of the Cerebrospinal Fluid is contained in a closed hydraulic system within your body, there is a normal rise and fall of pressure which occurs. If your body is not able to accommodate these pressure changes (due to bony compressions, spinal misalignments, birth trauma, etc.) this will lead to dysfunction, pain, and other physical and mental disturbances. 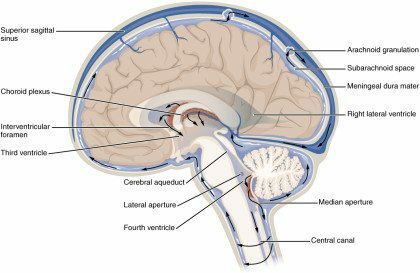 The Dura Mater also plays an important role in cranial bone movement. Yes, that’s right! Research shows that our cranial bones move in a rhythm, known as the Craniosacral Rhythm, instead of being immobile as previously thought. Diminished movement of your bony structures in an area of your body indicates a malfunction that your body is not correcting on its own, and will need to be addressed. The Central Nervous System, which controls whether you’re in fight or flight or rest and digest, is also contained within the Craniosacral system. Few body structures have more influence over your health and well-being than your Central Nervous System, so being able to manipulate that provides immeasurable benefits to your overall health. Who can receive it and what will treatment be like? As Craniosacral Therapy is a form of physical medicine that uses light touch, it is safe for all ages, from newborns to their great grandparents. Dr. Lim has had extensive training in both adult and pediatric applications of CST. 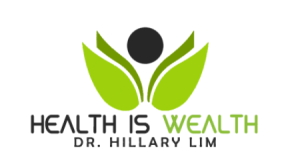 Listening to the craniosacral rhythm in various parts of the body will indicate to Dr. Lim where the system is operating normally or abnormally, and the treatment will be tailored based on the abnormalities found during assessment. During the treatment you will be lying comfortably on a padded table in a private, quiet environment. Infants and children will either be held, will lie on a table, or engaged in play during treatment. You may be able to feel the movement of your bones, heat, or pulsations in the area being worked on, or the treatment may put you to sleep. The treatment times vary from 30 minutes for children under 10 years old, to an hour for adults. For more information visit www.upledger.com. If you’re struggling with any of the above conditions, call TODAY to schedule your first CST session with Dr. Lim to start experiencing relief!